A young man in line for the throne is trapped in his father's kingdom and yearns for the outside world. 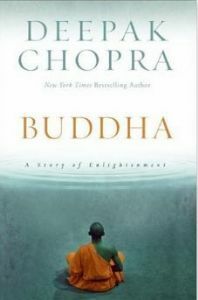 Betrayed by those closest to him, Siddhartha abandons his palace and princely title. Face-to-face with his demons, he becomes a wandering monk and embarks on a spiritual fast that carries him to the brink of death. Ultimately recognizing his inability to conquer his body and mind by sheer will, Siddhartha transcends his physical pain and achieves enlightenment.